Wedding stationery is one of the most important details of wedding planning. It encloses your wedding theme and colors, giving your guests an impression of what your wedding day will be like. But let’s face it – picking your invitation design can be a little bit inconvenient especially if graphic designing is not your cup of tea. 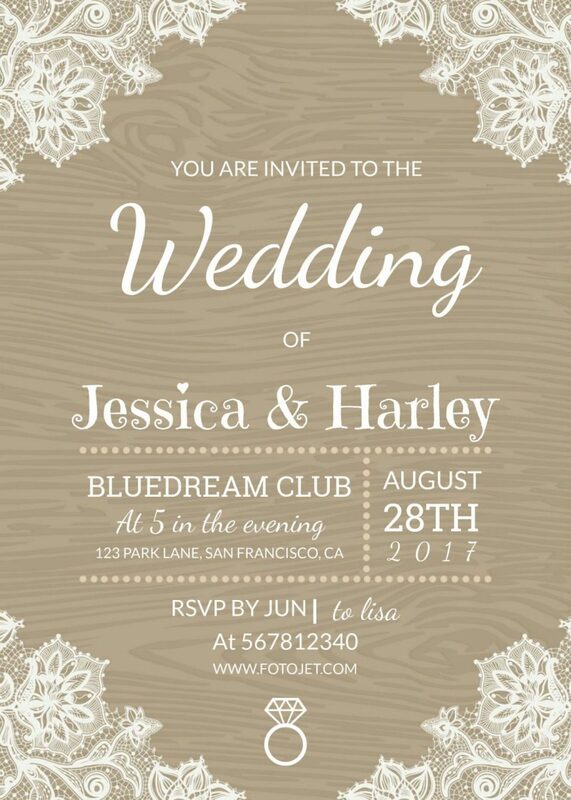 If making your own wedding stationery, though, is in your bucket list, then you’ve come to the right place. 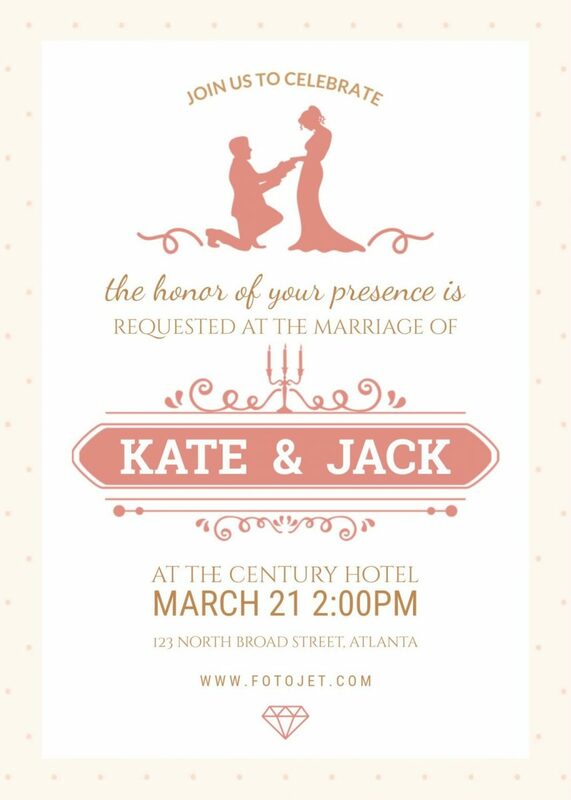 We’ve taken up the freedom to collect some utterly beautiful wedding invitations from FotoJet.com for couples like you who love to think outside the box and customize their wedding stationery. Check out these 3 awesome FREE templates below that you can make yourself! If you’re planning for a garden wedding, this template would be a good option. Romantic as it looks, the roses in the template can already tell that your big day is going be on a springy mood. Add regal elegance to your day with this template. 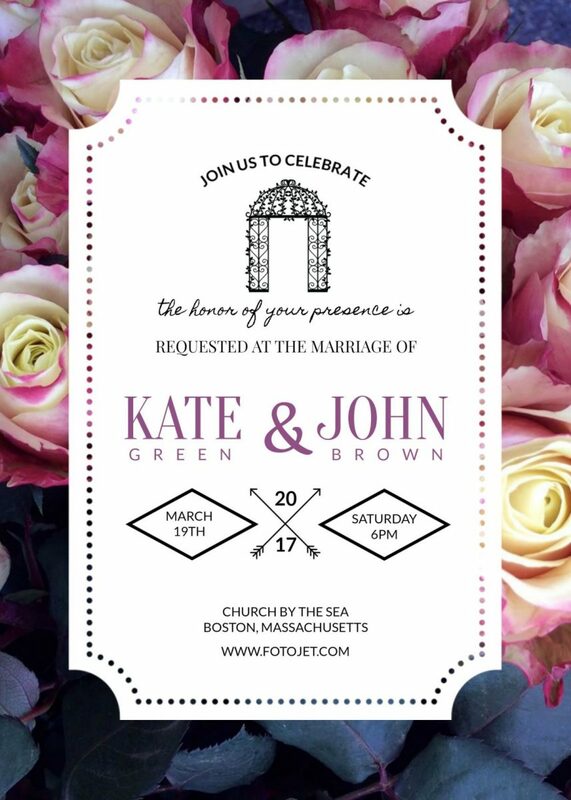 I love how the classic style, traditional fonts and monograms conclude that it’s going to be a princess-worthy day! Getting married in a rustic style? Wood, lace, doily are our favorites, too! This template will perfectly introduce your rustic theme. You can customize it to suit your preferences. Fotojet.com is an all-in-one free online tool for graphic design, photo collage and photo editing. They’ve got plenty of designs for you to choose from. If you need more inspiration, just go through their website to fill up your tank. Cheers to happy designing, loves!